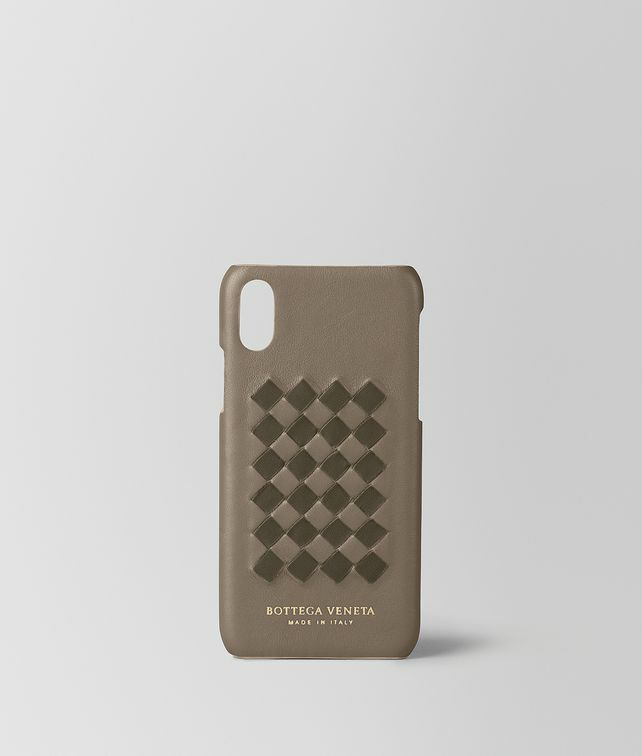 This iPhone X is an expression of the season’s fresco palette, beautifully hand-woven in a graphic intrecciato check pattern. Light and sturdy, it is protective yet sophisticated. Depth: .8 cm | 0.3"